Amy Bilquist has loved the water since the day she was born. Growing up in Arizona, her parents wanted her to be safe in/near the water, so she was bobbing along at age two and in swim lessons by three, thus beginning her life-long love of the water. Amy’s love and dedication to swimming and coaching make her the perfect choice for your next Fitter and Faster clinic. 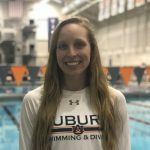 In her clinics, Amy will emphasize that, while all swimmers have slightly different strokes, everyone still needs to prioritize their strong catch and powerful kick. 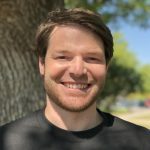 She will help her students figure out what works best for their body and demonstrate how to get the ultimate feel for the water through their catch, primarily focusing on freestyle and backstroke. Swimming has taught Amy to never give up on herself, and she wants to help young swimmers see that their coaches, teammates, and families will be there to support them, but also that it’s important to believe in themselves, because they are the ones making the laps count. “I want the swimmers to be more confident in themselves and their swimming capabilities. I want them to have fun and to learn at least one new thing, or ten new things,” says Amy. But don’t worry, your swimmers will have plenty of fun while learning! Amy lives by the motto that “A happy swimmer is a fast swimmer.” As she says, “This sport needs to be fun. 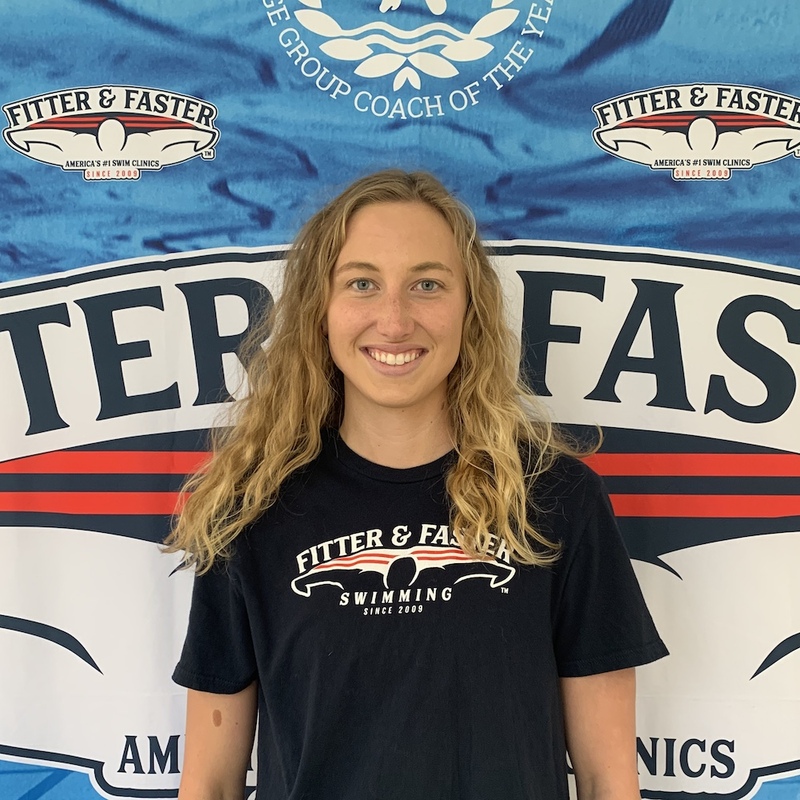 To get better you need to enjoy swimming, you can be as good as you want but you need to have fun to make it fulfilling.” Contact Fitter and Faster today to book Amy for your next clinic.